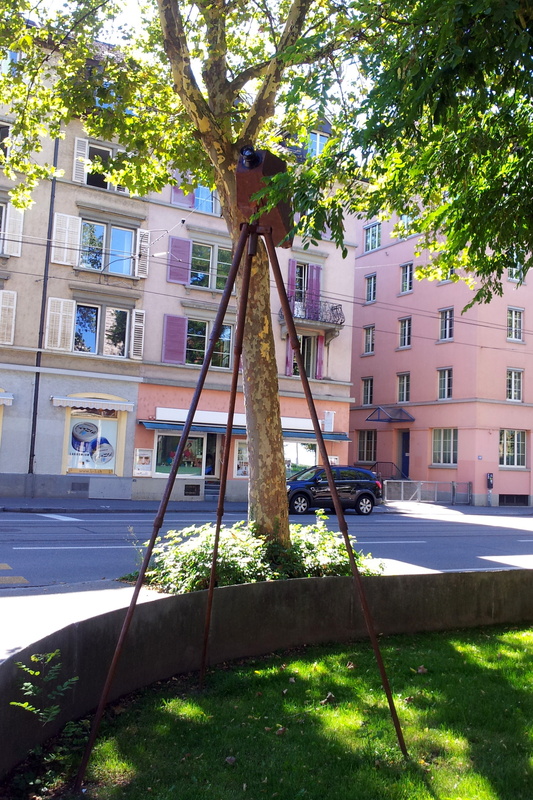 There were several Taiyo Onorato & Nico Krebs’ Kamera (2012) around the city. This was in the garden of the Johanneskirche in the Limmatstrasse. You can find more information about this piece and the artist on Art and City official website.